We are currently accepting applications for the 2019 Chatham Music Club Scholarship Competition! Apply and get details at this link. Click here for a complete schedule of 2018-2019 meetings. 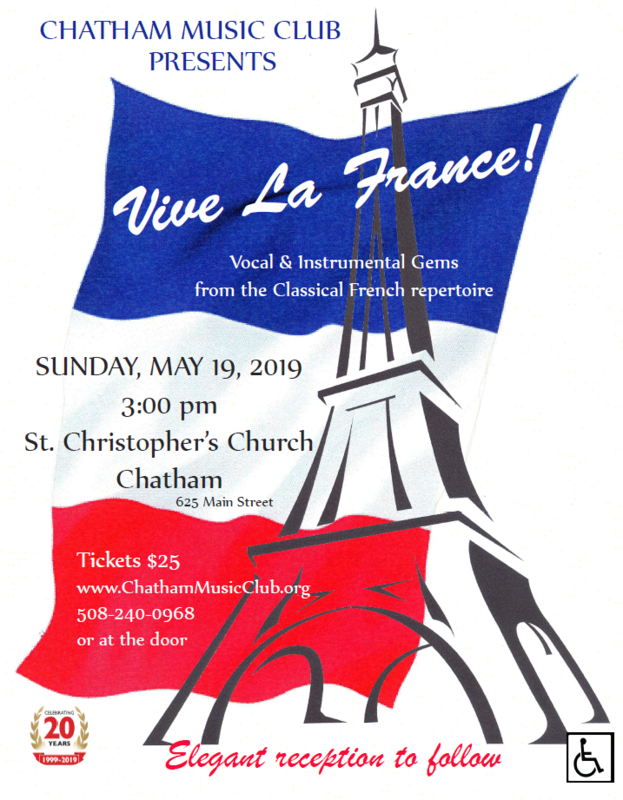 JOIN US FOR OUR ANNUAL GALA, VIVE LA FRANCE!